Why Do Dental Professionals Need A Brand? For the first time, I heard someone say that the word “Brand” gave them a negative feeling. In that, when used in day-to-day life, “Brand” is so intangible that it doesn’t even merit usage in a branding conversation. Or, perhaps the attitude stemmed from over-usage in modern society, something that was readily spoken but rarely understood. Either way, my experience has always been to use Brand as a strength, particularly in the dental space, which has practically been devoid of brand for the last 100 years. What does this mean for the future of Brand? And especially when we look at Oral Surgeons? First, It’s important to understand where the word “brand” originated. That’s right. Livestock. Commodities that roam, and might be stolen. 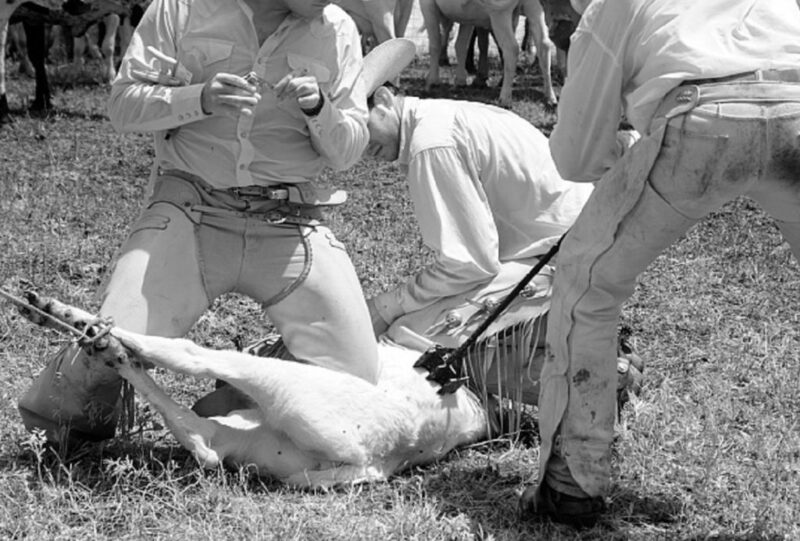 But because everyone was branding their cattle, everyone had to make sure their brand was unique. Size, shape, lettering, design, were all important in distinguishing one cow from the next. AND they had to be specific to the ranch they belonged, so as one can imagine, this was the beginnings of individual broadcast identity, as well as the personal care and pride that came from not only the product itself (the cattle) but also the common brand they all represented. Low and behold, brands took on an identity of their own. Products, services, or ideas have become secondary to the feelings or experiences associated with the brand. Recently though, brands have become more of an identity, creating an opportunity for groups to form. If you bear the brand of a particular business, practice or otherwise, you’re a part of that tribe. This has been enhanced by the use of social networks and interconnectivity. People can find out everything they need to know about an organization before ever walking in the door. Scary, right? This is the prime time to explode as a practitioner, and sell yourself faster and more effectively than ever. After all, marketing is a window, not a mask. So then, why do we see so few Dentists, Oral Surgeons, etc. actually investing in their image? I think I can hazard a guess. First of all, when we’re talking about medicine, there’s an amazing learning curve necessary to be a player. People don’t stumble into their MD, and I think I speak for all of us when I say that’s a good thing. I want the people tasked with my health to be crazy educated. And they are. Sometimes the most educated people in the world. But what if I told you that it might actually be hurting the industry as a whole? When you have a market that is established by a handful of professionals (extremely well-paid professionals) who are also managing any advancements in the industry, as well as their own competitive ecosystem, you can imagine how that market would move at nearly a snail’s pace. There is simply no reason to adjust an industry that’s accommodating the people responsible for the adjustments. Now pair that with a target customer, one that is completely confident, given someone’s name is followed by DMD or other credentials. This is an industry founded on altruism, but has some of the highest paid workers in the world, a competitive market solely determined by location or insurance provider, and virtually no need for an outward facing brand identity whatsoever. Now, before I go further, I want to note that everything I said in the above paragraph is not always the case. I understand that there are some amazing doctors in the world that direct their focus towards creating a better world for mankind. But I think we all know someone who clearly pursued a career in medicine for the comfort, consistency, and paycheck. If there is no demand for improved health care, there is no competition, and without competition, there’s no need to stand out. Let’s return to Brand. The reason people think “brand” and “logo” are interchangeable terms is because in our world today, the logo is the most obvious piece. It might seem like a cliche for someone working in branding to preach the benefit of owning an identity, tone, style, feeling, experience, etc. But, trust me, it’s for your own good. One of the biggest reasons (perhaps THE biggest) for Brand is to differentiate yourself and focus on a specific group. By giving yourself a clear identity, you are able to establish who you do and do not work with. Brand does more than get you business; it also provides internal focus. By fleshing out a brand you can adjust every person on your team towards clear, comprehensive goals. This is instrumental in growing your practice to a point where you are breaking those arbitrary vicinity barriers that every patient abides by. If you have been making due for the last 50 years on word-of-mouth-referrals, cheers! But know that you aren’t alone. Many practices subscribe to an “if it ain’t broke” approach. But the internet is quickly replacing word-of-mouth. According to this review summary curated by BrightLocal, 84% of people trust online reviews as much as a personal recommendation. Today, through 5 star reviews, it’s easier than ever to find out if a business has credibility. Not only that, Google is the best way for people to find businesses in locations they’re unfamiliar with. Is Google always the choice when considering bigger commitments, like choosing a long term doctor or dentist? Not always, but the trend is definitely in favor of online searches. Why go through a handful of people when you can check the reviews of a 50 person committee at your fingertips? Just like anything else, it’s the responsibility of the industry to serve the people, not vice versa, and staying flexible to changing technology is essential. As medical practitioners, you are doing yourself a favor by looking like the best. And you’re doing everyone else a favor by BEING the best. Give your patients a reason to go to you besides being near to them. And did I mention it makes you look awesome?